In the Davinci project we used GearSketch to experiment with how gears and chains transmit motion. GearSketch is one of the many resources and programs/simulations available from GoLabz. It’s always a challenge to come up with interesting tasks that require inquiry and reasoning. Below two tasks where students have to explore both the program as well as features of and patterns within the use of gears. 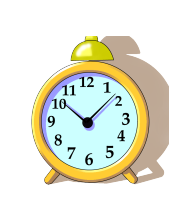 Design a combination of gears resulting in a driving wheel showing the hour hand of the clock and another wheel in the gears showing the minutes hand of the clock. Compare the two different bicycles and write down at least five (technical) differences. On a modern bicycle you will often find 6–8 gears on the rear wheel and maybe 2-3 gears on sprocket where the pedals are. Where must the chain lie when you cycle uphill? Explain your answer. 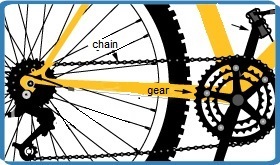 Where must the chain lie when you cycle downhill or downwind? Explain your answer.